We haven’t written much about the pigs since they arrived in May, I’m not sure why. 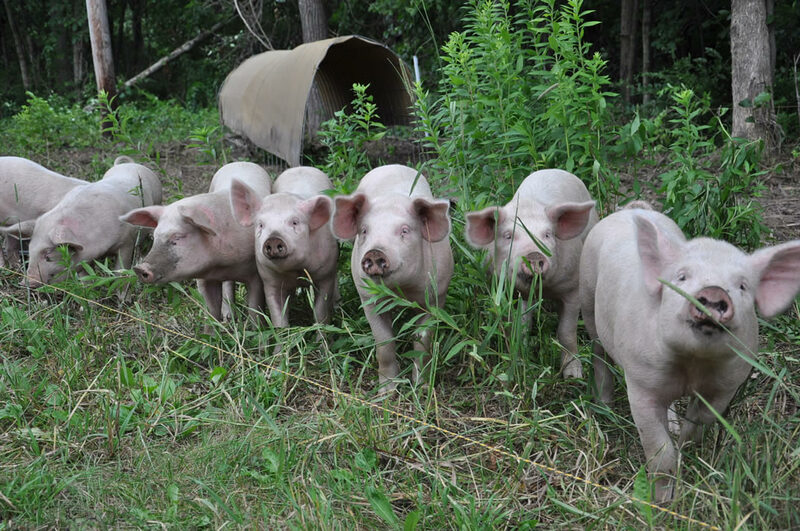 Like all the other animals on the farm, they play a vital role in maintaining the ecosystem. Their main job is aerating the soil, turning over compacted soil, and in doing so they are also able to clear overgrown brush areas. They do so by using there snout like a shovel to dig to find great sources of protein. This photo shows a new area we put them in today, where they will clean up so that we can put up a new fence.